Home remedy natural healing herbs and cures are available from your local health food store, and can be grown in your garden or on your patio. Natural herbal remedies offer holistic healing of the body and mind -- with magical results. These herbs and ingredients store well and many are excellent foods with great nutrition and antioxidants. They provide a quick, handy remedy and natural healing. They are proven cures tested over centuries of use. 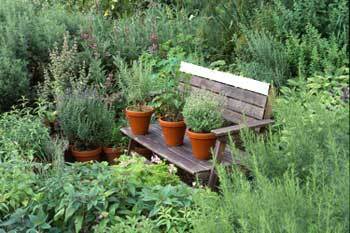 Growing your own herbs guarantees fresh, available, and organic. Avoid pesticides - save yourself, butterflies, hummingbirds and the honeybee too. Home Remedy Solutions: Diet and Relieving Stress. Treating symptoms, even using home remedy natural herbs is still a "band-aid" rather than a cure. If you are upset by symptoms, finding relief is a top priority and you are in the right place. You will find specific home remedy natural cures here for most ailments. 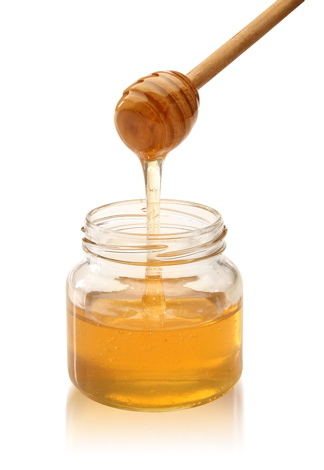 Honey, Castor Oil and Vinegar are superfoods that heal both internally and externally. Many natural remedies and detoxification tips are listed below. Relieve your stress and experiment with home remedies until you find what works. At the same time, make every effort to find the source of the dis-ease or dis-comfort you are experiencing. You can't keep poisoning yourself with toxic food and products that you are allergic to and expect to recover, right? Use natural cures to heal the body-mind connection. Are you feeling lost or frustrated at poor or inconsistent results? The way you look at the problem - is the problem. Find lasting solutions and relief at home remedy Natural Cures. Only in finding the underlying stress and the food or life-style habits that accompany the stress, can you relieve an old limiting "symptoms or habit" in your body. Until you do, nothing much will change. You may relieve one symptom, only to discover another. Cure the cause: the stress, diet and exercise habits that limit your bodies natural ability to heal. Stress Relief Today is a simple path to restore your natural healthy mind-set. Anxiety and stress pollute your body with harmful hormones -- and tension. Stress is the cause. Treating symptoms is not the cure, is it? For the ultimate non-invasive solution, try EFT or Tapping - for quick relief using your body's acupuncture meridians to release energy blockages and emotional stagnation. It's simple, the information is FREE, and many try it on everything - Why? because it works when nothing else does! Although it began as a remedy to relieve emotional stress, Tapping also relieved physical symptoms including headaches, diseases, rashes, aches and pains and even serious ailments such as PTSD. Once the anxiety is resolved, then home remedies can help the body to build up immune defenses and restore body vitality. Learning Tapping is easiest following along with a proficient guide. This practical solution combines ancient Chinese acupressure and modern psychology with startling results. Why not give it a try - all you have to lose is anxiety. Begin with a free manual or audio introduction. It's simple, and the information is FREE. Natural health home remedies begin with diet. The food you eat every day is "drugging" your body - either into health and vitality, or decline. It's no secret. How do you feel? If the answer is, "not good." It's time to make some changes. Dietary guidelines are the foundation of Health and Wellness and only you determine what you think and eat. Changing into "healthy living" is always and only up to you making the decision to JUST DO IT. Once your body gives out and the symptoms are critical it's too late to make easy diet changes that can help you much. Eating fresh, organic foods boost your immune system. Why not start now and eat your way into a healthy lifestyle? It's a lot less trouble and expense to switch your diet than suffer through disease, the dangers of allopathic prescription drugs (the number one cause of death in the US) and surgery, isn't it? Give the Mediterranean Diet a try. just a diet -- it's a lifestyle. falling back into unhealthy habits. eating and living I can imagine." The Mediterranean Diet has been shown by many studies to be one of the healthiest in the world. Baking with fresh herbs and olive oil is the healthiest choice. Chef Judith Fine-Sarchielli lived in Europe, (mainly Tuscany) for over twenty years, where she became an expert in the traditional Mediterranean Diet. She served as a personal chef in over 100 homes, and has over thirty years experience as food coach, food writer, and culinary instructor. 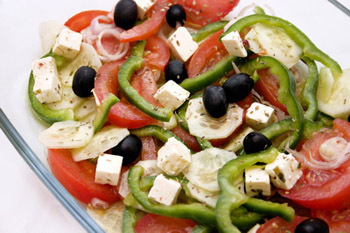 Here are some of her favorite Mediterranean Diet Recipes. Detoxing and alkaline therapy are classic home remedy diet solutions. Cancer (and other diseases) can not survive in an alkaline environment. Food over several months can change your bodies Ph to slightly alkaline. Alkaline Foods to quickly restore balance These are especially effective if your body is too acid. How do you know? If acid reflux or indigestion or heartburn are a problem you need an alkaline balance. Snack on these foods for a quick, natural remedy. There are many recipes for a detoxing or alkaline based diet. One of the most affective is the classic "Bieler Broth" recommended by Dr. Bieler many years ago. This broth is excellent for fasting, for restoring an alkaline balance, for energy, and for maintaining overall health. Dr. Bieler felt that this combination of vegetables in an almost raw soup restored the acid-alkaline and sodium-potassium balance within the organs and glands, and was especially restorative for the adrenal glands. Bieler soup is a home remedy that is highly recommended for those under stress or suffering from stress-related conditions. Raw Apple Ciaer Vinegar (RACV) helps the body to dissolve toxic buildup and poisons, and is natural, nontoxic, and biodegradable. It is a naturally occurring antibiotic and antiseptic that fights germs and bacteria. There are several detox recipes listed below for a variety of symptoms. Additional Superfoods that naturally detoxify the body are also listed below. Home Remedy Solutions: herbs and common sense. Walking and exercise are mandatory - not an option. If you don't move, your body cannot function well. Home remedies won't help you if you don't help yourself. Begin with a routine you like, and keep at it. Yoga is an excellent activity uniting "body, breath and mind" and stretches and energizes. Water heals an amazing array of symptoms. Headaches, constipation and digestive disorders improve remarkable with simply drinking large amounts (gallon or more) of water. You are 95%+ fluids - and when you are in the habit of not replenishing water needs, the body takes liquids from the colon, digestive track and lymph. Hence - stress and pain in those areas. Water is the major component in healing. Without lots of water, most home remedies don't work well. It's pretty easy to add water - lots of it - every day, and prove this to yourself. Flavored energized water at room temperature is a great home remedy to balance your emotions, increase your water intake and energize yourself. Fill a quart glass pitcher with purified water, and add herbs and/or food, and place in the sun in the morning for an hour or so. Try several leaves of mint, basil, or a favorite herb and then add cucumber or lime or lemon or strawberries -- your favorites. You can also make "sun tea" by adding herbs and placing the pitcher in the sun for 3-4 hours. You now have a home remedy energy drink! Sinus congestion, flue, colds or asthma. Hot water, sipped slowly, warms up the sinus cavity and allows cold, flue or allergy waste drainage to occur naturally, without meds or drugs. 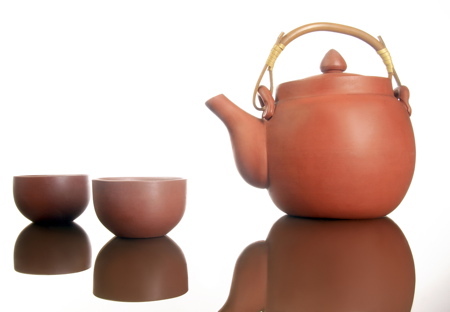 Another home remedy uses a "nettie pot," an Ayurveda cup with a spout that is used to flush out the sinuses. Use a saline solution (about 1 tsp. of sea salt to a cup of warm water.) Try this ancient practice for yourself. Bladder or Urinary Tract Infection. If severe, see your healthcare professional as a chronic condition can become serious. The pain subsides as you increase your fluid intake. Drink between 1 and 2 gallons of fluids a day and urinate as often as possible. This dilutes the infection and increases the urine output flushing out the bacteria. Drink water with fresh lemon or lime, unsweetened cranberry juice, unsweetened blueberry juice and herbal teas. Avoid sugar, dairy products, alcohol and soda drinks as they add to the bacteria. Constipation allowed to continue over time becomes a habit -- and a deadly one! Break the habit with diet and lots of water. To flush your system quickly - use this natural "enema" -- but do not rely on it! A healthy life-style is the real home remedy solution. Wake up about 5 am or so and prepare a tall glass of saline solution (2 cups of warm -body temperature 100º water, and 2 Tbl. sea salt) and drink it quickly. Return to bed and in an hour or so you'll wake up - run, don't walk - to the bathroom. The saline solution is not absorbed into the body but fills the colon -- this home remedy is a natural enema. Diet is the long-term solution. Natural herbal teas are an excellent tasty method to increase your fluid intake. You can also add fruits while steeping your tea. is all in your head. Relax." For centuries most home remedy cures were made into a tea. Use fresh ingredients and organic when possible. 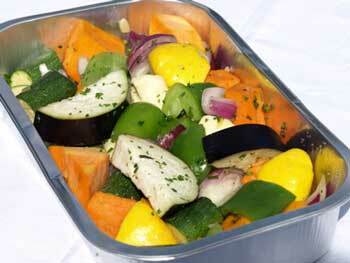 Use a glass pot or stainless steal to avoid picking up toxic residue from the container during heating. Home remedies are often taken as teas - and many herbs solve a variety of ills. Here are a few to begin. Make this a practice and experiment. Find the home remedies that work best for you. Green tea is an antioxidant and is a good addition to your diet. Use decaf if stress is an issue or you feel anxious. Ginger tea (boil 1/4 cup of fresh ginger, in chunks for 30 min. on simmer) is a digestive aid and assists with detoxing internal buildup in your organs. Add honey and relieve the symptoms of a cold. Or add cardamom pods and lemon slices, simmer (and open the pods.) Serve with honey as a festive light refreshment and home remedy. Lemon grass tea (slice 1-2 stalks into 1" chunks and simmer for 30 minutes.) Soothing and calming, this is a good "bed time" or afternoon "wind-down" home remedy drink. Chamomile tea is a classic for calming anxious nerves, and for sleeping more soundly. Mint tea (Fresh mint leaves in pot, and pour boiling water over them - allowing them to steep for 4 minutes.) Is a good digestive aid and pick-me-up. Add honey for a sweat treat. Peppermint tea is calming if you are feeling angry or frustrated. It is also a home remedy mild digestive aid, and pick-me-up drink. Lime tea (squeeze 1/2 to whole lime in hot water) is an excellent home remedy "start of the day." For those with a slow or sluggish digestive system, Lime tea gets the juices flowing prior to eating. You will feel hungry, and not as bloated. Over time this daily practice re-establishes the bodies natural digestive process. Honey and cinnamon tea (use raw honey and non-irradiated cinnamon and water under 120º) is an excellent home remedy with cures listed below, and as a tea, is a good digestive aid and assists with weight-loss. Raw, unfiltered apple-cidar vinegar and honey tea. Heat water and add 1-3 Tbl. of RUA vinegar and a teaspoon of honey (or to taste) for a home remedy digestive aid that also helps restore healthy digestion and elimination. There are many remedies listed below. Celtic Cold Cure: boil in glass quart pot: 1/4 cup of ginger, 1 chopped apple and 2 tea bags (green or black) for 30 minutes on simmer. Soothing and healing, this is a wonderful home remedy comfort to an achy sore body! Add honey to taste. Eucalyptus tea (simmer fresh Eucalyptus leaves for 15 minutes.) Soothing and invigorating, a digestive aid and tasty treat. RAW Almonds- A Superfood Snack. Healthy living prevents dis-ease naturally. Choose almonds: you get a Superfood that can save your life. Almonds are an ancient treasure, providing both nutrition and curative properties. Snack your way to a healthy heart! Almonds eliminate the need for expensive, dangerous Rx meds - the leading cause of death in the US. Almonds also dramatically decrease your risk of diabetes and cancer; reduce your weight (without hunger) and add nutrition (vitamin e) and natural oils that reduce the signs of aging like wrinkles and sagging skin. 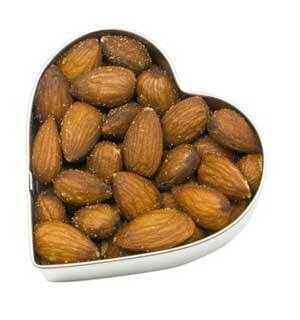 Superfood Almonds, -- lose weight and enjoy more vitality. Superfood RAW Honey and Bee Pollen can instantly build energy and clear your mind. Raw honey and pollen contain all essential minerals, B complex, amino acids, enzymes; and can prevent cancer and Alzheimer's. Give up supplements and switch to natural nutrition - and save money. Try this natural home remedy cure for allergies or the traditional home remedies. Begin with a natural remedy and make natural health and wellness your lifestyle. Organic, raw, unfiltered, unpasteurized Apple Cider Vinegar (ACV) is a powerful body cleansing and healing. It is legendary -- noted in early scriptures and ancient Egyptian and Greek remedies. It is a Superfood - or one of Nature's perfect foods. It is made from fresh, crushed apples which traditionally mature naturally in wooden barrels. Wooden containers "boost" the natural fermentation and are considered by some a necessary component. All of an apple's super nutrients and trace elements are found in raw vinegar. Natural ACV is rich, brownish in color and contains a tiny formation of "cobweb-like" substance called "the mother." The residue in the bottom of the ACV bottle increases as it ages, but it never needs refrigeration. Household remedies There is nothing beneficial about commercial distilled vinegars except for pickling, cleaning and disinfection -- they have no health value. Pasteurization (heating) destroys all the healing properties. So what do you do with typical store-bought vinegar? It's excellent for washing windows, cleaning and deodorizing, and a weak solution (1 tsp per gallon) is a healthy plant food. If you are invaded by ants, use vinegar to keep them out of the house. It may take a fresh wash over their entry points several times to build up the odor and keep them away. Basic Recipe: In a cup (8 oz) of warm (105º maximum) water add: 1 tablespoon of RACV and 1 tablespoon of RAW honey (not heated or pasteurized honey.) Drink first thing in the morning, on an empty stomach. Repeat three times or as indicated for your symptoms, but end your day with another cup. This will assist in cleansing your blood, balancing digestion in the stomach and intestines, and helping your elimination. Headache, tension headaches, organ disorders, migraine headache. Some are symptoms of kidney, liver or gall bladder problems, and all are stress related. Use the basic recipe, and drink a gallon of water. Humidify with RACV. Use steam to inhale the vinegar. Boil one cup of cider vinegar and one cup of water. Place a towel over your head, over the steaming pot, and breath in the fumes. Inhale for 5 minutes. Usually one treatment works wonders, but if you feel tension, then repeat an hour later. This is also an excellent home remedy for a cold, sinus infection or asthma. Muscle soreness, arthritis or stiffened joints: drink 3-4 cups a day of the basic recipe. For specific areas like the knees or back, use a very warm poultice for 15 minutes, two or three times a day. Procedure: make the poultice by soaking a cloth in the heated mixture of a 1/2 cup of cider vinegar to 2 cups of water (heated to toleration point.) Wring out and cloth and wrap it around the joint or on place it on the back - then cover with a dry cloth or hot water bottle to retain heat. Repeat the procedure to reheat the wrap, for 15 minutes, and repeat process several times a day. Swollen Feet or Ankles. Soak them in a mixture of warm half water and half natural apple cider vinegar. Elevate your feet allow the blood to circulate easily. Congestion, coughs, hay fever, runny nose, mucous, watery eyes and sinus draining. Use the basic recipe before meals and sip as needed. Postnasal drips and watery eyes are also due to diet, the body is eliminating excessive mucous caused by the wrong types of food. Eliminate wheat and dairy and monitor your results. Health and Wellness covers eliminating possible allergy foods and describes how to find the right diet as a basic home remedy. Asthma attack: One tablespoon of cider vinegar to a glass of warm water should be taken in sips for 30 minutes. Wait an hour or so, and then repeat. This can be repeated without harmful side affects. Yoga and deep breathing exercises help to restore the lungs, as the blood and tissues are purified. Asthma is caused by local pollen. Use natural local raw honey and build up an immunity. Many are symptom free within 30 days or so. Sore throat. Gargle with apple cider vinegar. One teaspoonful of vinegar in a glass of warm water. Gargle a mouthful of this solution every hour, and swallow the second mouthful. Repeat every hour until the soreness is relieved. Gum disease, whiten teeth, remove tarter, and mouth odor. Caution in using RACV as it works quickly and it may be too strong for the enamel of some teeth. Monitor your progress and rinse with water if needed. Method: mouthwash- one teaspoonful of RACV to a cup of water and rinse mouth after brushing and before bed. Use the mouthwash for sore or bleeding gums, but begin by diluting the RACV to 1/4 teaspoon as it will sting an open sore. Slowly build up to 1 teaspoon per cup. If you use RACV to brush your teeth (natural whitener) rinse afterwards as it may be too acidic for some teeth. Dilute to a 50/50 solution to begin and lower the RACV as you achieve the whitening you seek. Rinse afterwards to be safe. Sunburn Mix 50/50 water and RACV - if you have a sever sunburn, use undiluted RACV. Method: stand in the shower and pour a cup at a time slowly over your head (close your eyes tight), face, and shoulders....then repeat with another cup until your sunburned areas are covered. The pain stops quickly. Do not dry off with a towel but allow yourself to "air dry." Try and sleep, allowing your body to heal. Repeat as often as necessary to ease the pain. If you are not too badly burned, this method also helps prevent peeling and blistering. Diarrhea or loose bowls. 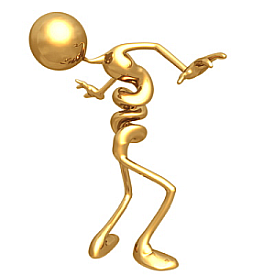 Your body is attempting to eliminate a toxin or food poison irritating the digestive tract. Taking any drugs (including over-the-counter) will suppress the healing process and leave you with toxic residue. Cider vinegar will lower the intensity, allowing the elimination of the toxins to take place. Take one teaspoonful of cider vinegar in a glass of warm water before and in between meals or approximately six glasses for the day. Making the basic recipe a daily habit protects the body from harmful bacteria and toxins. Heartburn or pain after eating. Use the basic recipe before meals. Honey is also a digestive aid, take 2 tablespoons of raw natural honey after eating. Weight loss and obesity. Naturally diet and exercise - as well as stress relief - is necessary to remove excess weight. There are also internal imbalances that cause excessive fat deposits and RACV works miracles for many. Overeating and insufficient oxidation of the blood are usually the result of your body needing exercise (deep breathing) and craving nutrients. 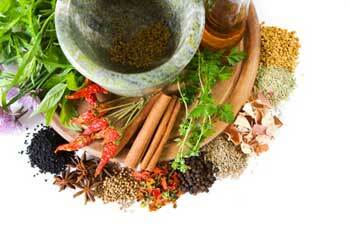 Herbs and spices are the original ancient cures. Your food can also be your "medicine" energizing and supporting your internal organs and immune system. -and take the basic recipe 3 times a day, plus a cup before each meal. Many have noticed a rapid improvement. Your metabolism and lifestyle are the determining factors. You can make the healthy changes - follow a plan and get started and your body will lose excess weight as you find your inner "balance." Internal detoxification: the kidneys, liver, blood, bladder and internal organs. Cleansing is accomplished by a 'flushing' of the organs. Water is mandatory for a cleansing. Begin in the morning, taking one teaspoonful of cider vinegar in Comfrey tea. Follow with drinking 12 glasses of water throughout the day, each with one teaspoon of cider vinegar. You may repeat for up to 3 days. Also take a detox bath, soaking in ACV described below. Then continue with the basic recipe to maintain your body's balance. RACV External Body Cleansing and detoxification: Skin treatments. Stop poisoning yourself. Eliminate toxic chemicals in Your products. Your skin is your major organ of elimination. The skin also absorbs substances into the body. Most cosmetics are toxic, and contain harmful chemicals. Commercial soaps are alkaline, often contain animal fats (and hormones,) synthetic perfumes, dyes and preservatives. Eliminate poisoning your body, and you'll recover quickly with natural remedies. RACV as a soap alternative. Healthy skin needs an acid surface. Use ACV to cleanse your body in the shower. Add one teaspoonful of apple cider vinegar to half a glass of warm water. Rub the solution into the skin. The skin absorbs the RACV and leaves your skin fresh and odor free. You have imbalanced alkaline skin if you suffer from dry or itchy irritations. If you have itchy scalp or dandruff, wet your hair and scalp with RACV (1 teaspoon to a cup of water) before you take an RACV bath. Take a bath in RACV to energize and restore your skins balance. Add 2 cups of apple cider vinegar to the water and soak for 15-20 minutes. Towel lightly, allowing your skin to absorb as much as possible. Repeat daily until your condition improves. Eating an alkaline/acid balanced diet will speed your recovery too. Acne, boils, blisters and bloating or puffy toxic build-up in your tissues, all indicate a blood deficiency. Use the basic recipe and begin a detoxifying program. For Acne apply to the skin several times daily (one teaspoonful to half a cup of water.) Without dietary changes and relief from stress, your progress will be slow because you are continuing to poison yourself. Eczema: Take the basic recipe three times a day, with meals. Apply to the skin several times daily (one teaspoonful to half a cup of water.) Try the detox and bathing suggestions to restore your skins Ph balance. Eliminate salt from your diet as this aggravates eczema. Shingles: Apply directly to sores, full strength, six or more times daily as needed. Use the basic recipe and consider a detox session and bath described above. Varicose veins: Apply undiluted vinegar to the veins 3 times a day minimum. Begin in the morning and end prior to going to bed. Massage well moving up the leg. An RACV bathtub soak several times a week boosts your healing. RACV Cures for Additional conditions: Weak, splitting nails; hair loss, callouses on the feet, hardening of arteries, nervous or excitable emotions all can be related to low potassium. Use the basic recipe. Hair loss will take several months to show results, as the blood and nutrition need to be restored. You will begin to see results for most problems within a few weeks. You'll also receive a monthly “Good Fortune Tips”- articles to inspire, delight and keep you on track and creating your Dream. You may cancel at any time. Aloe Vera either in liquid or caps is an excellent herbal home remedy for constipation, heart burn and to energize a slow digestive system. Acid reflux is the result of too much acid in the stomach. Honey is a natural aid (take 2 Tablespoons). Ginger root boiled in a quart of water, in a glass pot for 20 minutes is a remedy you can keep in the refrig for up to a week. Eating garlic everyday is an old remedy used in many cultures. Garlic is antibiotic, anti-inflametory and energizes the good intestinal flora and kills harmful organisms. Vaginal odors and discharge. Vaginosis is the cause of the "fishy odors," sometimes pain when urinating, and itching. It is a bacterial infection and can be relieved with yogurt. Use organic yogurt or liquid super acidophilus. Douche with a solution of 1 cup of water and half cup of yogurt, or 2 tablespoons of liquid acidophilus. If you need a quick solution: soak a tampon with yogurt or liquid and insert quickly (before it expands.) Remove after a few hours and repeat. An apple cider vinegar bath described below, along with the basic remedy will help to restore your bodies balance. Castor oil is excellent for softening rough skin and promoting healing of skin disorders. Massage into areas of sore muscles or stiffness for quick relief. For a home remedy stomach ailment, make a pack (saturate a flannel or soft cloth) and place over abdomen (or sore area.) Cover with plastic wrap and apply heat (hot water bottle or pad) to increase the penetration. Castor oil has hundreds of additional home remedy uses brought to light by the Edgar Cayce Readings. It was often successfully prescribed for serious healing with excellent results. Remove Warts: Cover the wart with Castor oil and a small cotton ball and then cover it with duct tape. Cinnamon oil can also be used under the duct tape. Natural Detoxification: Ayurveda practitioners suggest it as the "poor man's" Panchakarma (deep cleansing and natural herbal healing process of from 7 to 28 days.) Taking 1-3 Tbl. spoons per day with a detoxifying diet deep cleanses the internal organs and restores the digestive functions. If you find the taste difficult, "chase" it with orange juice. Home Remedies using honey and cinnamon. Cinnamon is a home remedy that helps slow down the rush of sugar to the blood, which in turn helps prevent gaining weight. It's also an anti-inflammatory, and helps to delay the onset of aging, loss of vitality and enhances mental clarity. Raw honey may be the oldest known medicine. Coffee acid neutralized Add 1/2 to 1 tsp. cinnamon - with or without honey - to a cup of coffee to neutralize the acid. and massage it on the itching part of the body slowly. Pain recedes within two minutes. Daily, morning, and night, take one cup of hot water with two spoons of honey and one teaspoon of cinnamon powder. The Copenhagen University found that a mixture of one tablespoon Honey and half teaspoon Cinnamon powder before breakfast, relieved pain and restored mobility for those in their study. To destroys the germs in the bladder take two tablespoons of cinnamon powder and one teaspoon of honey in a glass of lukewarm water. Suffering from a cold, chronic cough, or need to clear the sinuses? Take one tablespoon of lukewarm honey with 1/4 spoon cinnamon powder daily for three days. Home remedy honey taken with cinnamon powder cures stomach discomfort and may also clear ulcers for some. Indigestion? Take two tablespoons of honey sprinkled with cinnamon powder before eating to relieve acidity and to digest a heavy meal. Daily use of honey and cinnamon powder strengthens the immune system. Honey has various vitamins and iron in large amounts that strengthens the white blood corpuscles to fight bacteria and viral diseases. Daily in the morning one half hour before breakfast on an empty stomach and at night before sleeping, drink honey and cinnamon powder in one cup of hot water. A half tablespoon of honey taken in a glass of water and sprinkled with cinnamon powder, taken daily in the morning and in the afternoon about 3:00 P.M. (time of low vitality) increases the vitality of the body within a week. Tasty home remedy cure: Gargle with one teaspoon of honey and cinnamon powder mixed in hot water. Natural Healing Remedies for the body-mind. I don't know many of them." Hot shower or bath restores inner calm and cleansing, as well as cleansing the body - a natural home remedy cure that is often overlooked. Soak in sea-salt or epsom salts to relieve stress and tired achy muscles. Add Comfrey leaves, Eucalyptus leaves, herbal combinations or essential oils selected from the health food store. A hot tub or pool or swim is also a home remedy for both calming and exercising. Massage is good for the body, mind and soul. Take a mini-vacation at least every few weeks to restore your body's equilibrium. Make it a "spa" or massage home remedy get-away and consider the expense "preventative medicine." Many salons now offer package prices, and that assures you take the time to do a series of healing sessions. You can also "spa" in your home with mud and herbal facials and a long herbal soak. Home remedies also use aromatherapy - essential oils in a candle or incense burner. Make this a special home remedy time, with music you enjoy and no interruptions! You'll find more gets done with a clear mind and balanced attitude. Only you can do that for yourself, right? A herbal massage heals internally, as well as refreshes and relaxes. Ayurveda panchakarma uses natural herbs, warm oils and essential oils for deep cleansing and renewal. must pay attention to it. Spend time in nature restoring your natural balance. Beauty is a home remedy natural cure that has the power to transcend mind-chatter. A regular routine of walking in beautiful surroundings will benefit you more than any other single practice. Sunrise and sunsets are available everywhere. Take 15 minutes, twice a day to fill yourself up with beauty. 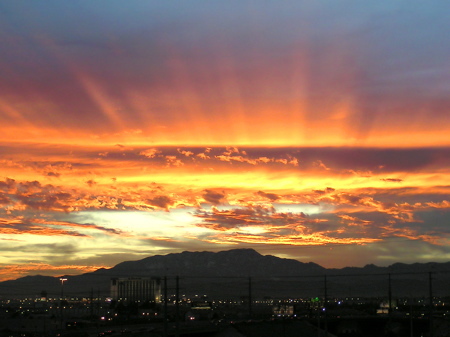 Natural beauty relieves stress and anxiety and refreshes your cells - and mind! More Resources for Diet, Natural Healing and Relieving Stress. 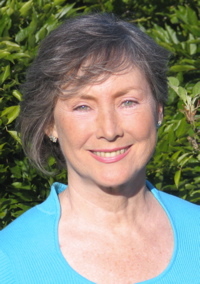 This process is an alternative to EFT, NLP and Meridian Tapping. TAT does not "tap" on the meridians, but holds one position (then closes with a final position) while gently clearing trauma and anxiety. It works quickly on the energy body- in a more universal approach for long-standing or broad issues. PSTEC sweeps out trauma and blasts through emotional barriers - FREE and quick. No figuring it out. Do it, get results and move on. Fear is erased. Gone. Now who are you? The Percussive Suggestion Technique is a tap-along audio tape. Sweep out the cobwebs in your mind - FREE and quick. This treatment is an alternative to hypnosis, EFT, NLP, TAT and hypnotherapy. There is nothing to understand or figure out - before or after. Tap along with it, get results and move on. The fear and trauma are erased. Gone. Now who are you? You will love the results. are a lifestyle choice that leads to naturally vibrant health and vitality. Get the basic FACTS and find choices that work for you. Natural Cures & 7 Step Plan is a great resource. See if looking for natural cures are keeping you sick. Try a new approach and find healthy lasting results. Stop the underlying stress aggravating the dis-ease and you find a real natural cure. Try this simple 7 step plan and turn your life around. Easy and simple to follow. It takes 21 days to imprint a new healthy habit - get started today. Your Decisions Forecast a Winning or a Losing Future. Most decisions are made outside of your awareness. How do you know? If you feel limited and frustrated - it's an old decision blocking you. Solve that problem in a few simple steps with the Bridge Problem Solving Technique. Free up your creativity and open your future to Live the Life You Dream - get started today. Note: Your Health choices are Up To You! The information presented on this site is for educational purposes only. Please take Full Responsibility for your participation in this site and your own health care. Consult a qualified health professional before putting any of these techniques and information into practice.